MS Dhoni won the third title as skipper to highlight the importance of captaincy and the attributes that come along with it. 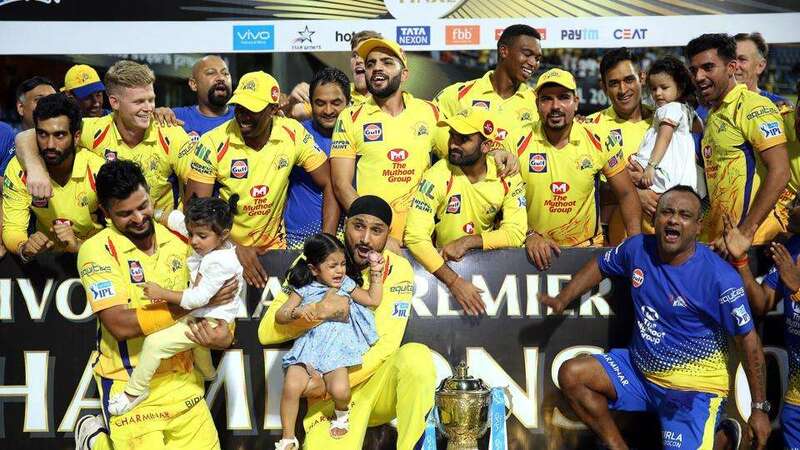 The Indian Premier League (IPL) 2018 concluded on Sunday with Chennai Super Kings winning a third title in nine years. Kane Williamson-led Sunrisers Hyderabad was thrashed by CSK after a blistering 117-run knock by Shane Watson. With IPL 2018 done and dusted, we have tried to rate how all the captains fared in IPL 2018. MS Dhoni, as usual, had another perfect campaign as CSK skipper. 7 finals in 9 appearances say everything about his captaincy skills. What was notable to see was the manner in which he backed the senior players and everybody took their responsibility well. MSD’s individual campaign was terrific and his experience helped him get the balance right. The consistency in the side was unmatchable by any other team and every player knew their job as to what was expected out of them. CSK hardly ever got a foot down and Dhoni once again showed he is the fulcrum of the side and a champion in this format. Plus – The decision to put Karn Sharma ahead of Harbhajan Singh in the final was a smart one. Letting Shane Watson bat atop throughout was a clever ploy as well. Utilising Ambati Rayudu as both an opener and in the middle order was a positive feature as well. Rayudu hit the winning runs in the final. Minus – MSD hardly made a move wrong. One thing that can be highlighted was promoting Ravindra Jadeja ahead of Dwayne Bravo in the batting line-up. The Kiwi skipper’s biggest task was to get his side reach the heights that David Warner took SRH to. And Williamson did not disappoint. Like Warner, he batted like a champion and won many games through his consistent and brisk scoring. SRH bowling unit was superb throughout and Williamson ensured he kept them going. The Kiwi player’s calmness and thinking cap needs to be lauded. He led with class and dignity that helped SRH reach the final. Plus – He led from the front as a batsman and took the responsibility of scoring even when others failed. Handled the bowlers well throughout especially, Rashid Khan and Siddarth Kaul. Not only did he field well, he lifted the spirit of the whole side which made others put the effort too. Catch taken by Boult was a super-man stuff. Minus – The decision to persist with Wriddhiman Saha for many matches, despite the player managing a sorry 87 runs. Also tweaked the opening combination many times during the campaign. Many felt that KKR never had a chance to qualify for the playoffs, but Dinesh Karthik proved everybody wrong. Karthik thrived as a skipper and the best part about his captaincy was the chances given to youngsters in the side. KKR lacked the bench strength but the team fought well to make sure that did not influence their campaign. Plus – DK was superb with the bat and he put weight to his role as a finisher. The veteran player gave the youngsters important jobs to do and at times they did fail, but Karthik did not shy away from being bold. Rotated his three premium spinners well. Minus – Often going awry at the death by handing youngsters the final overs and that cost them certain games including the Qualifier 2. Also persisting with out of form Mitchell Johnson for many matches in the beginning. The Royals need to thank Jos Buttler for helping them reach the playoffs. Apart from that, Ajinkya Rahane as a skipper was a let down most times. Individually, Rahane couldn’t quite rise to the task and often his captaincy lacked the aggression and quick thinking ploy. The team was inconsistent throughout but held themselves in the last few games. But the inexperience of the side was once again visible in the Eliminator against KKR. Plus – Showed some steel in the matches at the end of the campaign to hold the nerves and going with a consistent side. The backing of Krishnappa Gowtham was another pivotal decision. Minus – The decision not to send Buttler atop in the first set of games was a mistake, especially when the player did well for MI last season. Being inconsistent with his bowling selections both at the top and at the death was another factor. An inconsistent batting line-up showed he was unsure. Never knew what the best opening combination was. Rohit did not have a crucial season with the bat, but he needs to be lauded for keeping the team’s chances alive till the very end. Their start to the campaign in those last-over encounter losses hurt them. But the batting somewhat wasn’t up to the mark. The defending champions needed a win in their final game but failed to overcome DD as they ended fifth. Plus – One of Rohit’s striking feature was that of sending Suryakumar Yadav to open the innings from their 3rd game. The former KKR player grabbed the opportunity and scored 512 runs and became the first uncapped player to do so. Having said that, Rohit also handled his pace bowlers well at the death and they all chipped in with consistent performances. Minus – Rohit did not score enough runs and the overall batting department did not click. Wasn’t aggressive in the crucial moments of the game especially in the middle overs. RCB were inconsistent throughout a the performance against RR in the do-or-die encounter summed up their season. It was one of those campaigns, once again, where RCB’s middle-order failed miserably. Everything was riding on the shoulders of skipper Virat Kohli and AB de Villiers. Five losses in the first seven games made the task impossible for RCB. Kohli played superbly but his captaincy lacked aggression. Plus – Backed Umesh Yadav and the bowler delivered with wickets and consistency. Kohli once again batted well and led the charge in the field. Minus – Kohli’s team selection was questionable on several occasions. For instance, Moeen Ali deserved much more game time. Further, he kept on changing the opening pair and his playing XI lacked balance. At times, they were a bowler short and that hurt the side at the death. The inclusion of Tim Southee should have been thought earlier. KXIP were hurt badly was the decision making of skipper R Ashwin. Punjab went on to lose seven of their next eight encounters and where they were once looking set to enter the playoffs. His performances too weren’t up to the mark. He ended up with 10 wickets. Ashwin debuting as an IPL skipper will definitely learn a lot from this sorry campaign. Plus – Ashwin was labelled as one of the best captains of the tournament’s earlier stages. He kept it simple and got the results. The decision to include Mujeeb Ur Rahman from the very beginning was a clever ploy. He gets the four points for the first half of the season. Minus – In one of the crucial games against Mumbai in the end, the decision to send Yuvraj Singh below Marcus Stoinis and Axar Patel was flabbergasting. He was never confident about his middle-order, with new faces in almost every game. The omission of David Miller was a costly one. Aaron Finch’s shuffling of positions in the batting-order was another disaster. Over experimentation hurt the side. The 23-year-old Iyer took over from Gautam Gambhir in the middle of Delhi’s campaign and he looked like a cricketer who is determined to learn from the trades of captaincy. He led DD for eight games this season. The Mumbaikar had a decent campaign individually, but Delhi was left with a lot to do. Plus – Iyer led from the front in his very first match as the captain, scoring 93 runs off 40 deliveries against KKR, helping his team win the match by 55 runs. He won four out of eight matches. He looked to have got the calls right in the final two games of their season. He also scored a lot of runs in the campaign and being his first tourney as skipper, he deserves a six. Minus – The issue for Daredevils was the lack of balance in their XI and somewhat all through the campaign they got it wrong. One wonders why Nepal’s spinner Sandeep Lamichhane did not make the cut from the start. PreviousHow costly will be Josh Hazlewood’s absence against England? NextWith Morgan injured, can Shahid Afridi lead World XI to victory against the West Indies?